Jerome Corsi signs copies of his books at the Book Expo America in New York, Wednesday, May 25, 2011. Jerome Corsi, an ally of former Trump campaign adviser Roger Stone, told NBC News that special counsel Robert Mueller offered him a plea deal on one count of perjury related to statements about his contact with WikiLeaks founder Julian Assange. He said he plans to reject the deal. "They want me to say I willfully lied. I did not intentionally lie to (the) special counsel," Corsi told NBC News. Corsi said he initially told Mueller's team in early September that he had no recollection of being in communication with Assange in the lead-up to WikiLeaks releasing thousands of emails stolen from Hillary Clinton campaign chairman John Podesta. 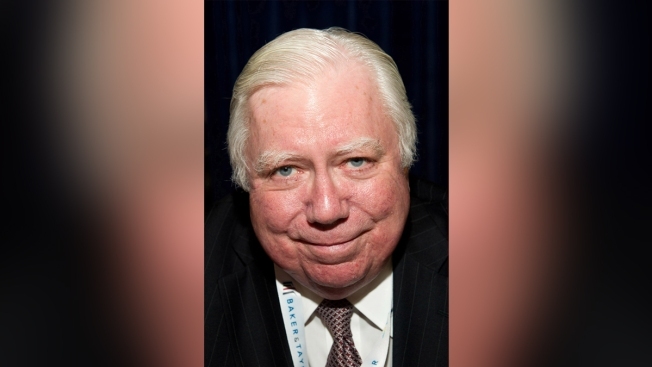 But Corsi said he amended his testimony in a November interview after Mueller's investigators presented him with a binder of his emails from 2016. Mueller is examining whether members of Trump's campaign coordinated with Russia's government to influence the 2016 presidential contest.